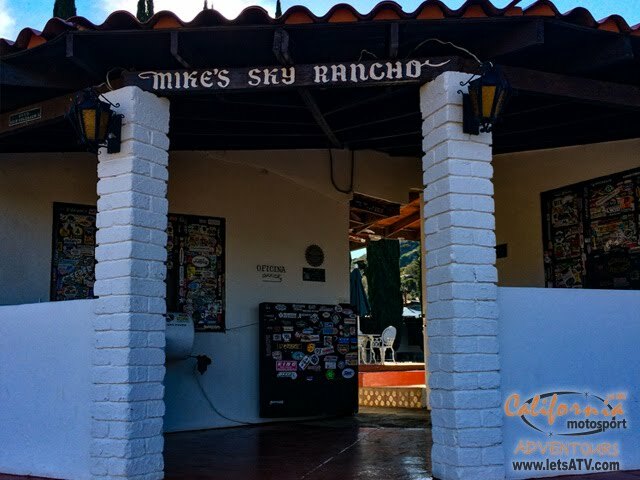 Recently we made our way back to Mike's Sky Rancho a legendary icon in off the road and Baja as a whole. Initially starting back in 1965 when Mike Leon purchased several thousand acres in the high foothills of San Pedro Martir Mountain range near the San Rafael Creek and built this rustic ranch that doubles as a fully operational hotel with great rates & home cooked meals. The mountains and streams surrounding Mikes are perfect for hiking, mountain biking, and even fishing since the area is home to rainbow trout. But the main reason we love Mikes is because it's a legend among the offroad community sitting high in the mountains right in the middle of some incredible trails often used by both the Baja 500 and Baja 1000 races. Not to mention that it's a beautiful place to take a break have a meal and drink a beer since there are sure are many more trails to explore in the area. Lodging is very affordable on a price per person basis that includes both dinner and breakfast and cozy room with a full bathroom and heaters for the chilly winter months. But if you do come out in warmer weather you can make use of their shaded campground near the creek and use their pool filled with water straight from the local rivers and streams. Mike Leon was also an off-road enthusiast haveing participated and won the Baja 1000 taking first place in 1984 and following up with another first in the 1985 Baja 500 and his passion still shows today. 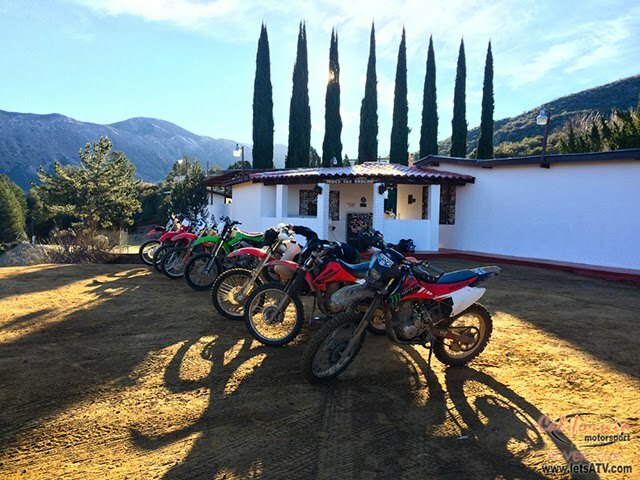 As soon as you arrive your greeted by the staff and offer a place to sit in their "sala" or living room that on its own is covered in off-road history, everything from business cards covering the wall to t-shirts filling every space on the ceiling. The road to Mikes has to be the best part. Heading southeast on MEX-3 on the road to San Felipe about 10-12 miles past Valle de Trinidad you will see the turn-off and from here strap in for a bumpy ride. A high clearance vehicle is recommended, although we prefer ATVs a two wheel drive SUV should get you there no problem just keep in mind that traffic and rain can change the road conditions overnight and no two times are going to be the same. Once off the highway, you have about 20 miles to go before getting there, so just follow the markers and signs along the way, and in about 45 minutes to an hour you will be pulling up to the main gate. I still remember the first time I went to Mikes we rode in after dark and had to hurry to get settled in and grab dinner before calling it a night and the next morning I saw the beautiful view and has ever since been my favorite place to stay in Baja. It may not be the fanciest place, in fact, some would say its more for the adventure than those looking for the resort life but, it's, in my opinion, one of the best places to relax in nature and away from electricity (except for the generator at the hotel) and not phone or cell service. I hope to ride into Mikes again soon. 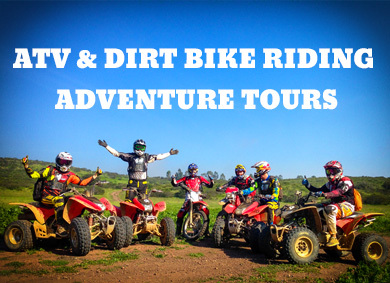 I know its always a fantastic time and some of the best riding in Baja, and if you drop by either by car truck, ATV/quad, dirtbike, or UTV be sure to keep an eye out for our Baja Rider Tags on among all the other mementos spread around the place.